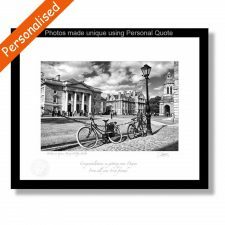 A beautiful fine art print of the famous Pigeon House, Dublin. 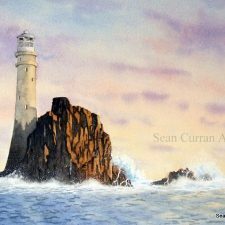 A limited edition print of only 1450, from an original watercolour, mounted & signed by Irish artist Seán Curran. The Pigeon House is found in Ringsend, near the docks of Dublin, from selling refreshments to generating electricity the Pigeon House is steeped in history and the two tall chimney stacks are among the tallest structures in Ireland. Beautifully depicted, this wonderful Irish gift brings the Pigeon House to life. The Poolbeg Stacks in Ringsend, Dublin are known locally as “The Pigeon House” and got their name from a former British Military barracks that was suituated on this site. The two chimneys are the first thing you see as you approach Dublin by sea and air,and were earmarked for demolition in the early 2000’s. However, due to public uproar they became listed structures in 2014, and for my money are as much a part of Dublin as Joyce’s “Ulysses”. The Pigeon House is found in Ringsend, near the docks of Dublin. People often think that the Pigeon House got its name from pigeons, in fact it was called after John Pidgeon (who later dropped the d in his name!). John Pigeon was a caretaker of a storehouse used by the builders of the Great South Wall in Ringsend, c 1760. John Pigeon saw a gap in the market and he started selling refreshments to passengers of packet ships docking at the new wall near his storehouse. These packet ships brought letters, packets and passengers from England and Europe and with long sailing times, Mr. Pigeon’s refreshments became very popular with both passengers and crew. 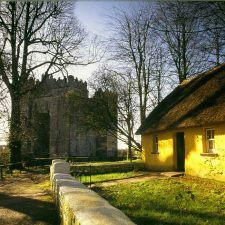 ‘Pigeon’s House’ also became a favoured day trip for Dubliners. Quite a number of years after John Pigeon’s death, the site became a large hotel for the passengers and later a British miltary barracks. This building was eventually taken over by the Electricity Supply Board and the Pigeon House generating station was developed, electricity was first generated here in 1903 and the plant was decomissioned in 1976. 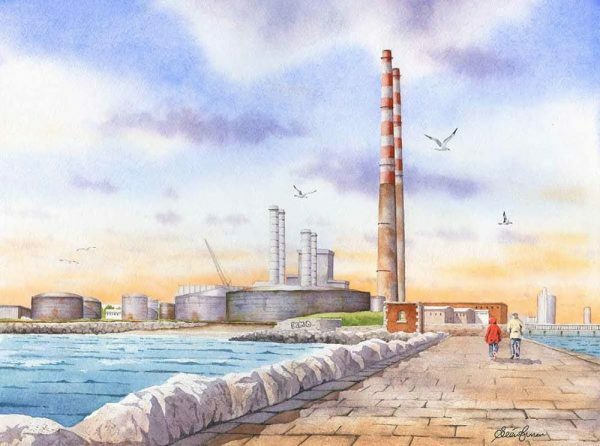 Construction of the adjacent Poolbeg Generating Station began in the 1960s, which included two tall chimneys, name The Poolbeg Stacks. These chimneys are well known landmarks and standing at 207.8 metres are among the tallest structures in Ireland. The whole area of the Poolbeg plant, including the two chimneys, is still known locally as ‘The Pigeon House’. 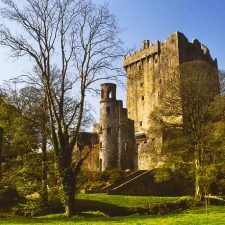 Irish art inspired, crafted and made in Ireland.